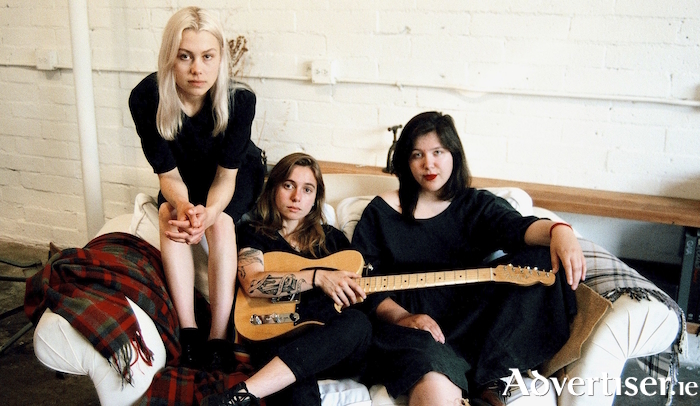 BOYGENIUS ARE made up of three of the most exciting indie-rock singer-songwriters to have emerged in the last five years - Julien Baker, Phoebe Bridgers, and Lucy Dacus. Of the three, Dacus is the best known, and finest songwriter of the three, a fact underlined by her song, 'Bite The Hand', which opens this EP, being not only the best thing here, but also one of the finest songs of 2018. The music's sense of drama and quiet/loud dynamics; its tension between restraint and release; the contrasting qualities of each of the three singers voices as they intone 'I can't love you, like you want me to'; all render it as high watermark indie. It is a mark of generosity from Dacus, and a declaration of her commitment to the boygenius project, to have given this song for the EP, when she would have been justified in keeping it for herself. This is not to speak ill of the remaining five songs. Country, folk, and indie influences sit effortlessly together throughout the rest of the EP, while Bridgers' 'Me & My Dog' takes mainstream American country-pop and refashions it as indie-rock. A song with crossover potential, it's vocal harmony driven crescendo could see it sneak onto radio playlists with a bit of luck. Overall, this EP augurs well for what we can expect from these artists individually and collectively as boygenius.